After a series of health challenges over the past few years, I have slowly been getting back to being His ‘Fit Temple’. It hasn’t been easy. I have had lots of non / false starts! However, for a while now, I have been on a steady climb back to fitness, that is until quite recently, when I felt like I was running on the spot. 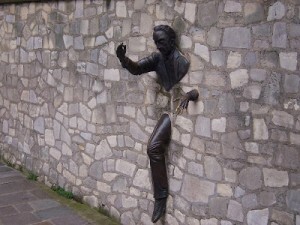 I realised that just like a long distance runner, I had hit the ‘Wall’. I was dissolutioned, mentally exhausted and fed up, more so as I wasn’t seeing the results I desired. The first natural reaction was to come up with excuses and give up. During a long distance race, when a runner hits the wall, to overcome he/ she simply has to keep moving; that is placing one foot ahead of the other. And so I resolved to do this, I kept training and eating right. I took my training one step further and decided to use the dreaded stair master machine to help with this. You see before today, I would only last 15 minutes on this machine, and was working out for only 40 minutes a time. However, with determination and focus, I broke the wall of stagnation and was on the stair master for 60 minutes! Needless to say I couldn’t really feel my legs right afterwards, but the freedom and euphoria of training beyond 30 minutes was absolutely amazing! And I still went on to do another 15 minutes of strength training afterwards. So yes, today, dear Lord, I am grateful that I broke the wall as aspire to become a fitter me. I am thankful for the mindset, opportunity and resources to enable me to enable me to do so. I am thankful for the desire to become a better vessel, God’s Fit Temple; to be used for His purpose and Glory. Lord, I pray my gratitude is acceptable in your presence today. Today, I am simply greatful for my mother. I am grateful for her introducing me to Jesus, living a life that brought Him to life and thought me about him. I am thankful for her love, teachings, correction, encouragement, but most of all her prayers. Mothers are simply phenomenal in all they do and who they are, and mine is no exception. Lord, I pray my gratitude is accepted in your presence today. About a week ago it snowed in the UK, and it got me thinking of the amazing creative abilities of God. I looked through the Bible to see if there were descriptions or mentions of snow, and yes there was. I got thinking, so far, I have found a reference or guidance to every issue or situation that I have been in. 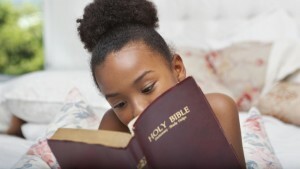 Did you know that when you read the Bible you are reading God? Yup, John 1:1 explains this better, it reads “In the beginning the Word already existed. The Word was with God, and the Word was God.” How amazing is that? Today, I am grateful for the God breathed word of God, The Bible! I am thankful because it awakens faith, is the source of all obedience, frees from sin, reveals Jesus Christ and His sacrifice and love for us. …and watching the two of them is like watching little kids play. “Come over here grandma and sit next to me”. Grandma gets up shuffles over and sits. “Now let’s read stories grandma, but you read”. Grandma picks up the book and proceeds to read, as he watched totally transfixed as she animated what she is reading. The conversations that takes place between them, is impregnated with years wisdom and knowledge and wrapped in love. It is a blessing for a one to live long enough to see his/ her grandchildren, interact with them and share life lessons with them. 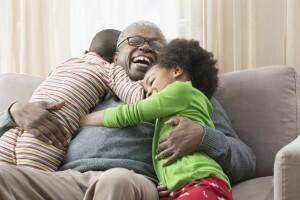 The love and warmth of grandparents can be likened to that of a security blanket; all trusting and knowing what to do. I love seeing my parents with their grandchildren, the joy and pleasure it brings to them can never be bought or sold. Equally the joy the children radiate when they are with their grandparents, is absolutely heart warming. Today, I am thankful for grandparents. I am thankful for their selfless love, care and tower of support. I am thankful for their endless hours of babysitting; always willing to step in at the last minute. I am thankful for the rich wisdom the grandkids get to glean from them. I pray my gratitude is accepted in your presence today and always. I love Sundays! Firstly because I get to fellowship with other believers in the sanctuary. Secondly, it is day to relax and hang out with family and friends, taking a break from work and enjoying each others company. 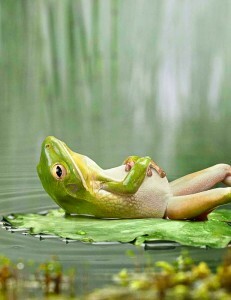 Finally, it’s the day before the begining of a new working week. The opportunity of Sunday’s can be used to review and reflect on the week gone by. We can pat ourselves on the back for all that went well or decide and plan on how to do better in areas of our living that needs it. Sunday presents blank pages for the next 7 days, beginning with Monday, another chance to start again, write and live our the best days of our lives! Today, Lord I am thankful for Sunday’s. Thankful for the blessings of fellowship and new beginnings that Sunday’s represent. I pray it is acceptable in your presence. Following on from yesterday’s post, today I am thankful for the best gift and reward from God, children. 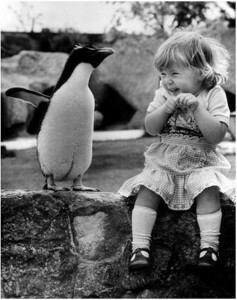 Children are awesome! They awaken your desire to learn more and keep learning, after all you need to keep up with them! They rekindle our test for new knowledge. They teach us things about ourselves we never knew, like how patient we are or if we ever learned our mathematics sums correctly! But most importantly, they remind us of God’s love, faithfulness and what it means to be a father. Lord, today I am eternally greatful for your precious gift of children. They are a blessing and a wonder to behold. May my gratitude be accepted in your presence today. …and just like that a new phase has begun. After a few seconds of being unsure of his new surroundings, including the new faces, He squared his shoulders, walked up to the lady at the door, smiled, shook her hand and said hello. He then proceeded to walk in like a boss, turning around briefly to wave goodbye and shout “see you later”. …and just like that, the big school phase has begun! The whole event encouraged and reminded me to be brave and willing to face new scenarios and situations regardless of my underlying fears and anxiety! Kids are absolutely amazing, they approach every situation with all their emotions on display, but underpinning it all, is their curiosity, fearless attitude and share bravery, which comes forth and takes charge. They give real meaning to the popular phase “feel the fear and do it anyway”! Today, I am thankful for the simple yet utterly profound life lessons I glean from children. For example, their utter dependency on parents and guardians, brings to light our relationship and dependency on God. We need God to help us do all that we need to do. Living and growing as Christian is practically impossible outside of Him. Kids also teach us how impatient we can be with God. Have you ever promised a child something? Well be prepared to be badgered constantly, from dusk to dawn, until they get what has been promised! They have no concept of ‘later”, all has to be ‘now’ because you promised. Most times we are like this with God, forgetting that yes He will do what He has promised, but in the fullness of its time. Today, Lord I am thankful for the gift of children and the lessons you teach us constantly through them; from simple faith to fearless boldness they employ to navigate each day. When I look back over the past eleven months, I cannot deny the God’s faithfulness towards me and my loved ones. Yes, we encountered severe challenges this year, but we have also experienced awesome victories too. God has been faithful. His faithfulness towards us has been nothing but Resolute! RESOLUTE means (resolved, decided, firm, unswerving, unwavering, fixed, set, insistent, steadfast, staunch, earnest, deliberate, unfaltering, unhesitating, unflinching, persevering, unshakeable, unshaken, steely, dedicated and committed). In a nutshell, when we became children of God, His faithfulness towards us was deliberate and unchanging. Today, I am eternally grateful for God’s faithfulness because it births hope, provides assurance, comfort and a deep knowing that I am not alone; that God’s got me secure right in His arms. He’s a really good father, don’t you think? Dad, I pray my gratitude for your unwaivering faithfulness towards me is acceptable in your presence. I am a huge advocate of positive Psychology (the science of the positive aspects of human life, such as happiness and well-being), which encourages us to have hope. 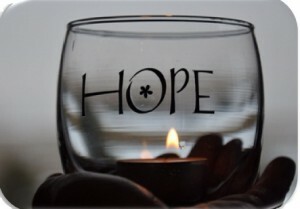 Hope is not just a feel-good emotion, but a dynamic cognitive motivational system. Life is difficult in itself and living without hope, I believe just presents a blank landscape and future. When I am going through challenges, hope encourages my mindset to envision success as an outcome. I couldn’t live without hope, but more importantly, i couldn’t live without hope in God . Today, I am thankful for the hope I have in God. Without hope, my days will just be one long bleak accumulation of days – a flat line! With hope, I am able to believe in a better today and a greater tomorrow. 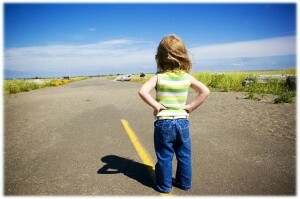 With hope in God I am encouraged not to give up and empowered to overcome the obstacles in my way. Hope anchors my belief in and reliance on God, to manifest His words in my life. Hope encourages me to hold on to my believe in God’s absolute faithfulness. Today, I am thankful for the gift of hope that I have in you. I am thankful that hope in You keeps me close to you, the safest and most blessed place to be. I pray my gratitude for hope in you is accepted in your presence today. In 2016, Shelter one of the leading homeless charities in the UK, conducted a survey on homelessness. The results found out that three million hard-working families are just one paycheck away from losing their homes, a study has found. This means that one in three working families in England would not be able to pay their rent or mortgage for more than a month if they lost their jobs. That’s like living on the edge of a cliff, with the constant threat of losing your step and facing thousands of feet below. That is quite terrifying and equally sad. Today, I am simply thankful that I am employable, can create work and have a roof over my head. I am thankful that God despite my wrong doings some times still blesses the work of my hands through constant stream of work and income, that makes it possible to secure shelter. I am no better than the next person, it’s purely the grace of God. Lord I am very greatful for shelter, the ability to obtain and hold on to it. May my gratitude today be acceptable in your presence.